Over the past months, headlines have been dominated by multiple crises in the Middle East. These crises have been caused by conflicts so complex, one can easily be overwhelmed when looking for answers and solutions. And while much coverage has shifted to other crises, we would be remiss in ignoring the continuing situation in Syria, which remains the biggest humanitarian crisis of this century thus far. Well into its fourth year of war, factions are fighting factions and instability is spreading throughout the region at a dizzying speed and scale. Not only does the conflict periodically spill into Lebanon and threaten to destabilize that country, we are now facing the problem of so -called Islamic State terrorizing its way through northern Iraq. But compared to the political context that is defined by complexity, we are facing a humanitarian situation startling for its brutal clarity. Out of a population of 21.4 million people in Syria, the UN estimates that 10.8 million are in need of humanitarian assistance. That is half of an entire country that cannot meet its own needs because of war. The most vulnerable of those in need are the 6.4 million who are internally displaced within Syria. This is as if the entire population of Ireland, half of them children, suddenly became homeless yet could not leave the island. Their needs are critical: displaced families have little to no income, often lack basic shelter, struggle to find food and clean water and have no legal protection. Many die from preventable illnesses or minor injuries that could be mitigated by access to basic health care. The children among the displaced are most often not in school and suffer detrimental effects of trauma and extreme stress. Many of them have only ever known war. There are an additional 2.9 million Syrians that have taken refuge in other countries. In Jordan, refugee camps are full to overflowing. 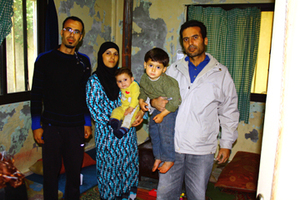 In Lebanon, cities are being filled with families squatting in abandoned buildings. Counting both the internally displaced and refugee populations, a total of 9.3 million Syrians have been forced from their homes. Fortunately, the international community is responding to Syrian catastrophe. Global Communities and our peer organizations are doing what we can in Jordan, Lebanon, Turkey, Iraq, and Syria itself. With support from the United Nations High Commission for Refugees (UNHCR), Global Communities is on the ground in Lebanon assisting families that are hosting refugees to rebuild and refurbish their homes, making their living situations more sustainable. In Jordan, we are helping communities work with their local governments to identify and meet their own needs, thereby easing the pressure on many of the resources and services strained by the refugee crisis. Additionally, the United Nations Security Council passed a resolution just last month that granted greater access to organizations trying to provide assistance inside Syria, and UN operations themselves will start crossing the border into Syria from Turkey in order to deliver assistance to those that have been the hardest to reach. However, there are simply not enough resources to meet the sheer scale of need. Organizations dedicated to assisting refugees, such as UNHCR, desperately need more resources from major donors to even come close to responding to the needs of the refugees. Funding for Syria has proven hard to come by. Of the $2.28 billion requested in the UN's Syria Humanitarian Assistance Response Plan, only $679 million has been received, bringing the appeal to only 30 percent funded. Much of this shortfall has been caused by pledges made by countries around the world that have gone unfulfilled. But while we struggle to meet the most immediate humanitarian needs, we must not overlook the longer-term needs that will grow out of a refugee crisis of this scale caused by a conflict with no resolution on the horizon. 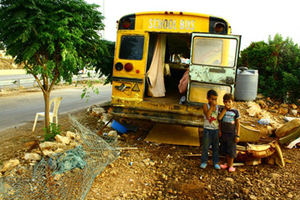 Lebanon, for example, has received over a million Syrian refugees who are placing a huge amount of pressure on the economy, the health system, schools, and shared public services such as housing, water, and community infrastructure in a country already stretched thin in being able to provide for its own residents. Syrian refugees now comprise one quarter of the population of Lebanon, a tiny country to begin with. It is absolutely essential that the international community not only assist the refugees but the communities hosting them as well. Residents in these situations should be encouraged--and indeed have the opportunity--to seek shared solutions that benefit both constituencies to reduce additional trauma in an already stressful situation. Failure to do so will only lead to more conflict, destabilization, and human suffering. Beyond the needs of those inside Syria, Syrian refugees, and host communities in neighboring countries, there is an even broader topic to be addressed. A refugee crisis of this scale is a massive demographic shift. Experts who examine large-scale and long-term trends such as urbanization and rising numbers of youth with no educational or employment opportunities would do well to add the changing Middle East to their list. International borders - mostly modern constructs laid down by colonial powers after the end of the Ottoman Empire - are being challenged. Whatever happens, it is increasingly unlikely that the populations of the Middle East at the end of this crisis will return to the status quo we knew at the beginning of this century. If we understand and accept this long-term shift, we can begin to approach the changes as actual opportunities instead of just "problems". We can work to empower communities, new communities and the existing ones, to reshape their own lives and livelihoods from the local level up, instead of the state-level down. Long-term peace and stability must be achieved at the political level. But the communities themselves must be empowered to develop their own futures, sharing resources and responsibilities, if we want to see populations resilient to conflict and extremism, and endowed with the capacity to build a more permanent peace. It is not enough to end war; we must help communities to thrive. Global Communities has been in the Middle East for 20 years and is invested in the lives of its residents. As partners for good we will remain there as these conflicts rage on, will be there when they end, and beyond the conflicts as countries and communities reshape themselves into a new Middle East.